We are in the process of severely de-cluttering our townhouse. Even though we’ve been in the habit of regular-ish trips to the Salvos/Anglicare/Vinnies, the stuff just keeps mounting up. Or to quote Himself “we’ve brought in more than we’ve got rid of”. 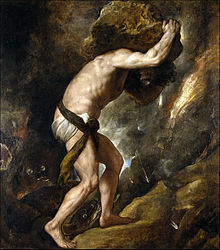 The decision making of what to “get rid of” and what to keep has been causing me lots of grief over the past months, not least because it seems like a sisyphean task – you know how you’re pushing a very large rock up a hill and you’re in imminent danger of an avalanche. I’m consoled by the fact that I’ve been feeling increasingly weighed-down by our belongings in recent months (years?) and so decluttering will shed that big rock and let me fly…well perhaps float a little. What would we take as precious-to-us items? What would we want to replace if the items were lost? What would we not miss at all, and perhaps be relieved we were shed of them? However there are less extreme rationales to use when decluttering. Entirely coincidentally one of my friends shared this post on Facebook and it’s been wonderfully helpful. Appropriately it focuses on books, which along with papers, are the bête noir of this household. I was so relieved when I read this story as it made the process so much clearer. Hence, my strategy is going to be similar. Most of my family history reference books. Coffee table books which we particularly love. Books which are relevant to our own personal history. Books we want to re-read again and again. 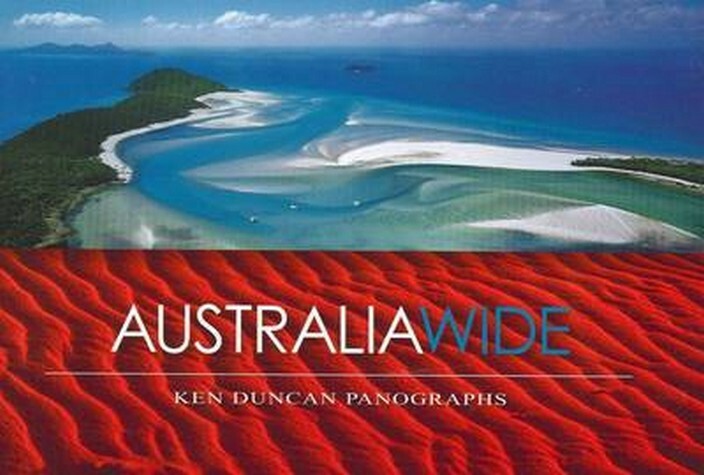 Any books which are not held elsewhere in Australia (there are a few). Books we’ve enjoyed but would only look at occasionally in future. 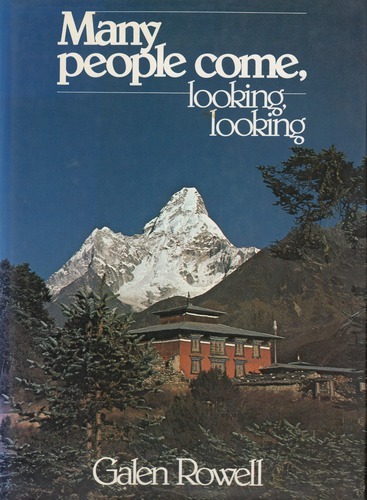 Books which no longer have relevance for us eg our Kathmandu collection. Books which have been superseded by new information/new editions. Ones that may be in a reference library I can access – provided I don’t use that book regularly. Ones I’ve started to read but can’t get into. Books I feel I should read but just never get to. 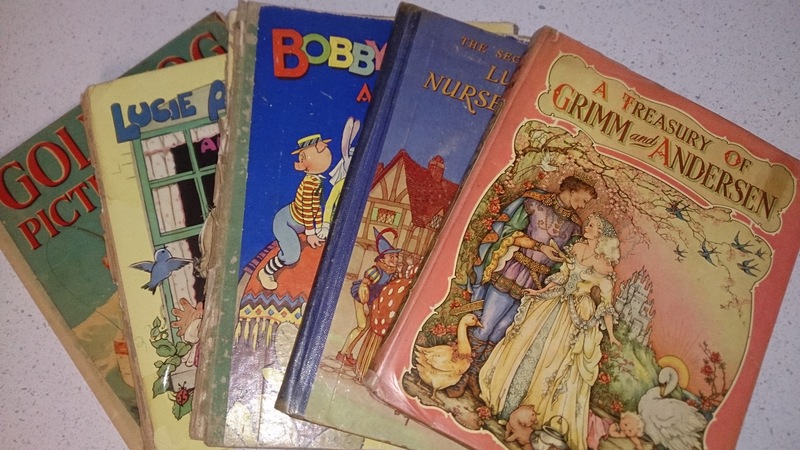 One of the big questions I’m dealing with though, is whether to keep some of my childhood books which I’ve only just re-acquired in the past 18 months. Like everything else children’s book fashions have changed massively since dinosaurs roamed the earth so they don’t suit the grandchildren’s reading styles. Do I treasure them a little longer, purely for the memories? Or do I tell myself, you didn’t have them for 40+ years so why will you miss them? Rather than just sending the unloved books to a charity store, I’m thinking of which of my friends would really love that particular book. Hey, don’t good friends share things – even clutter?! Others of our poor rejected books will go to the casual “library” of pre-loved books which Mr Cassmob set up at work and which has been quite popular. Wish us luck – Himself will need more than me as my study is FULL of books. Perhaps that’s why it’s freaking me out more? Last week my friend Sharn from Family History 4 U, issued a challenge on Facebook to list ten books which have affected my life. Others seemed to list their 10 easily while I was first presented with a blank mind, followed by puzzlement over which to choose. In the end my solution was to think of books which take me back to the time or place where I read them, or which played an important role in a phase of my life. I’ve highlighted those that I think have played a truly critical role in my life or my understanding of it. Judy Webster talked about not over-thinking her list, something I surely haven’t managed. I could blame it on having time during a long flight but that wouldn’t really be true…I just hate being pinned down to a limited choice. I could equally well nominate dozens of others. The Heidi series (i) (Johanna Spyri). I loved being able to imagine life on the hills with grandfather, the simplicity and his gruffness. The Girls’ Own annuals and similar that I got each Christmas, if I was lucky. Actually I was recently given two early-edition annuals by one of my mother’s friends. Pestering Mum and Dad for the Reader’s Digest book on Animals which of course I got as a birthday gift, but for which I can’t find the title right now. 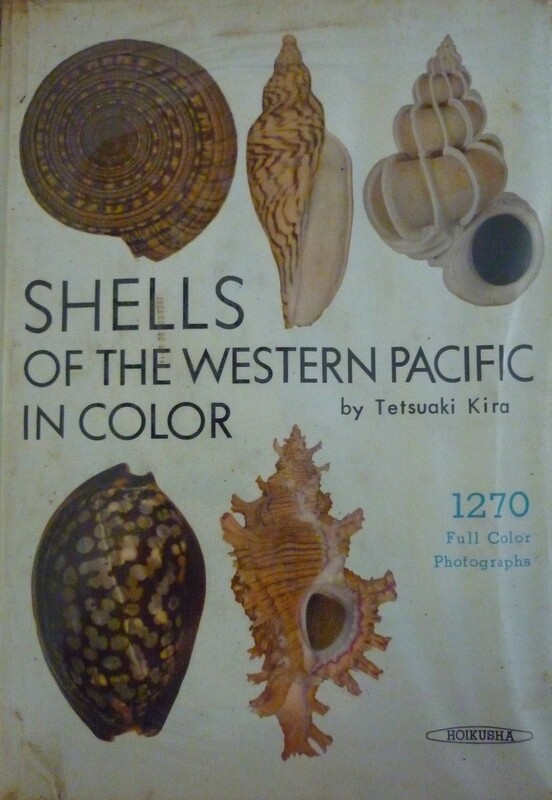 The beautiful book I bought with my shell cataloguing prize money. Michel Quoist’s Prayers of Life; The Ugly American (Burdick & Lederer); The Last Blue Sea (ii) (David Forrest aka David Denholm); Animal Farm (George Orwell); For the Term of his Natural Life (Marcus Clarke). Shells of the Western Pacific (iii) (Testuaki Kira) which I purchased with the prize I won in the Queensland Science Competition for my catalogued shell collection. The summer of Dickens when I read all of Charles Dickens’ books. What do I remember? Not a lot. My God, it’s a woman (Nancy Bird), a gift from a colleague who knew about my enthusiasm for, and interest in, flying. The Right Stuff (Tom Wolfe): the story of the test pilots and astronauts. Landscape Photography (Gene Thornton), Mountain Light (Galen Rowell) and anything by Ken Duncan (iv), an inspirational photographer. Bill Bryson’s Neither here nor there. I vividly remember reading this book one Australia Day long weekend at Rainbow Beach and driving DD#3 crazy with my laughter as she tried to nap. His Down Under book is equally funny, especially on the topic of the Northern Territory and Darwin. Dragged Screaming to Paradise (Suzanne Spunner) which I read soon after I arrived in Darwin and which echoed so many of my own experiences. I laughed and laughed. Territory Kids (Genevieve Rogers) about what it was like to grow up in the Territory of Papua New Guinea, giving me a better understanding of my husband’s early years. A suite of photo books on PNG (v) which were gifts from my future husband as an introduction to my new life, and any of James Sinclair’s books on PNG. Mr Cassmob and I shared an obsession with Mount Everest for many years despite being totally unfit and also in my case, having a fear of heights. We had an extensive collection of books of which I’ve chosen Many people come looking, looking (Galen Rowell) for the story of the people, and an expedition. Everest the Hard Way (vi) and other books by Chris Bonnington. 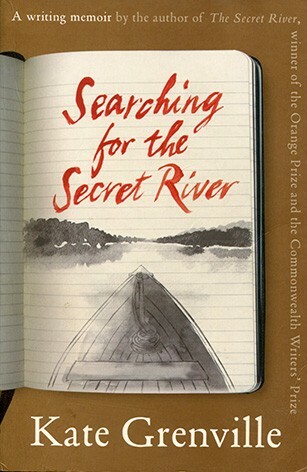 Searching for The Secret River (vii) (Kate Grenville). I loved how she described hunting down her ancestor’s biographical information while denying she was a family historian of the stereotypical type. It also taught me just how much work goes into writing a book and the varied sources of inspiration. Jack London’s People of the Abyss (viii) pulled me up short when I read it in Denpasar airport one year. The effect of one group’s “wants” on the abilities of other’s survival. The perilousness of life for working-class people, a group to which many of our ancestors belonged. Stephen Covey’s 7 Habits which made a huge impact on me. Gifts Differing (ix) (Isabel Briggs Myers) which provides a framework for understanding different personality types and traits. 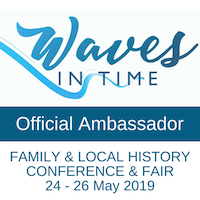 Australian Pioneer Women (Eve Pownall) and Nick Vine Hall’s Tracing your Family History in Australia, the first books I was given as I started my family history in 1986. Who would have known the journey that was ahead of me. 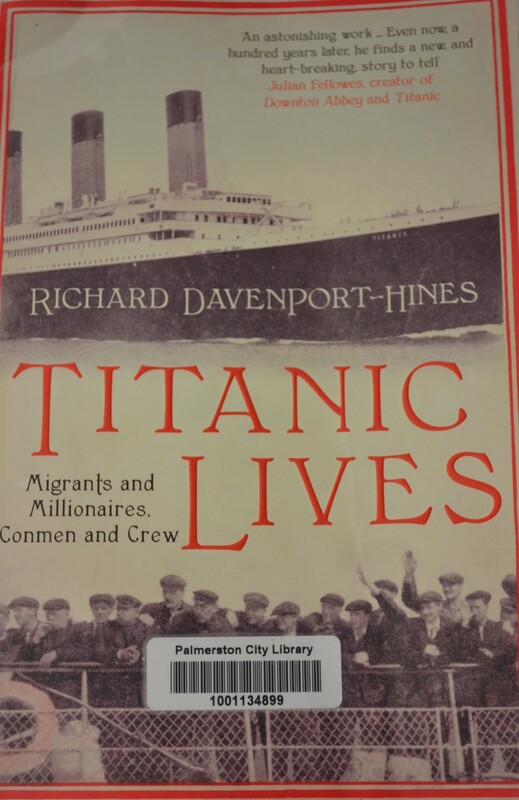 The Voyage of their Life (Diane Armstrong) because it confirmed for me that there was merit in tracing emigrants. 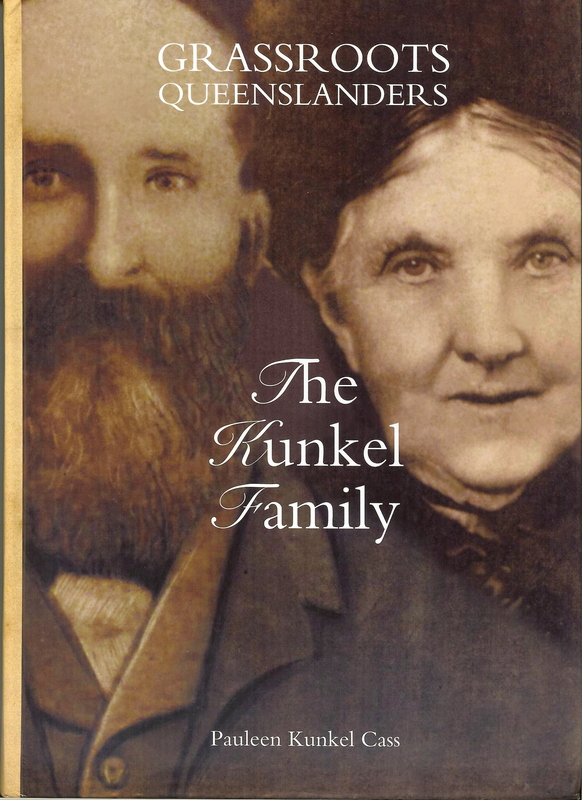 My book Grassroots Queenslanders: the Kunkel Family (x) for which I won a couple of prizes. 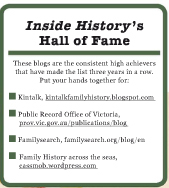 Cheeky to include it here, but publishing this family history was a personal high and the feedback from family was precious. 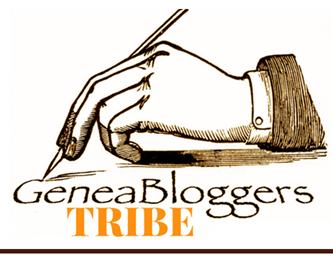 You might be interested in a blog post I wrote some time ago about my lifelong addiction to books or my response to Geniaus’s Reader Geneame. My Bewitched by Books blog which has been languishing for some time but there are a few reviews on it. Not that I haven’t been reading plenty of books but unfortunately I’ve spread myself a bit thin on the ground with other activities. What books have had a formative effect on your life? Or which books stand out in your memory for the time when you read them? 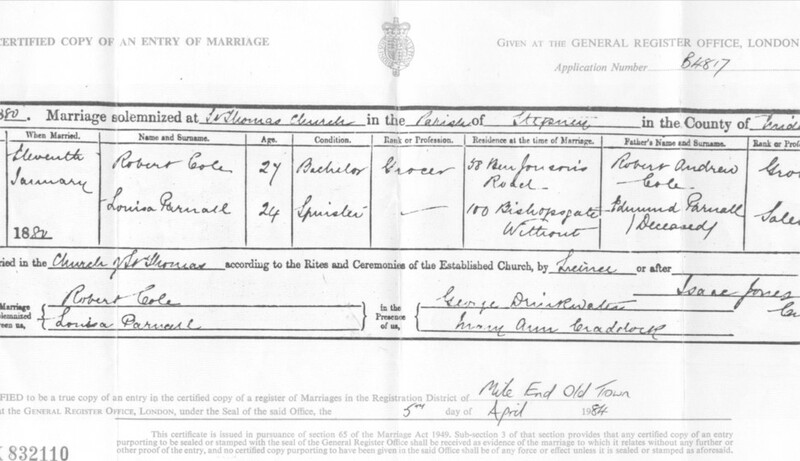 We all know the thrill of seeing an ancestor’s signature for the first time. Somehow it makes them seem that much closer to us. 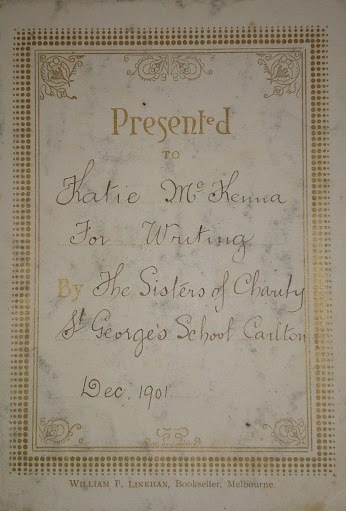 In her Heirlooms podcast Maria (from Genies Down Under) suggests leaving a sample of your handwriting for descendants, perhaps even some of your family history. Quite honestly this would be a challenge beyond palaeography with some of my notes <smile>. In fact future readers may wonder if it was encrypted. There’s increasing discussion that we are losing our familiarity with “running writing”, both reading and writing it, that we always type and never write. Is that true for you? Yes I certainly prefer to type stories or family history, not just for legibility but also so it can be stored digitally. Also because these days I think through my fingers, if that makes sense, and my writing can’t keep up. Perhaps we should also be storing a digital copy of something we’ve handwritten. And while we’re at it, why not save a voice recording? Maybe it’s my career in administration but I have no problem recognising who wrote what annotation on a file (provided I’ve seen their writing before). I can almost always tell who a letter or card comes from without cheating and looking at the back, or opening it first. How about you? Do you still send snail mail letters, cards or notes? 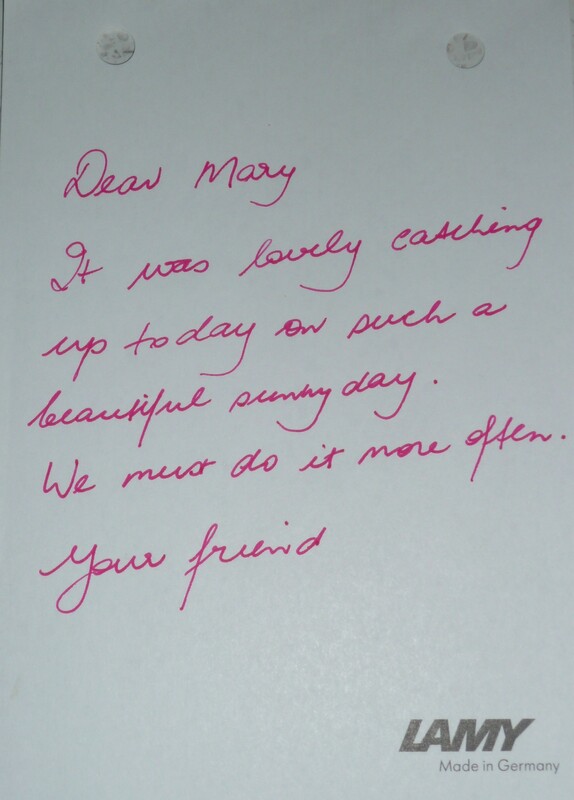 Do you recognise your friends’ or family’s writing? If the answers are a resounding “no” perhaps it’s a resolution for 2013 to occasionally revert to the old ways and use non-digital social media. After all one day someone may think that card is an heirloom. What do you think? By the way I’ve started another blog (yes, mad I know!) called Bewitched by Books. It’s not rocket science to figure out its content so if you’re interested why not pop over and have a look. Today’s post is a bit of 1950s fun which will be of interest to those with an interest in the more recent “olden days”, and life in our youth, well mine anyway. The other day I read about the Genre Favourites (and Guilty Pleasures) Blogfest on the L’Aussie Writer Blog. It sounded like a bit of fun so I thought, why not join in? So here are my responses. One of my favourite movies ever is Out of Africa: the costuming, the scenery, the interaction with the Africans. The landscape is so theatrical and a character in the story. I would love to soar above the landscape in a hot air balloon, perhaps the closest to what they saw in the old bi-plane. A dream for 2013. 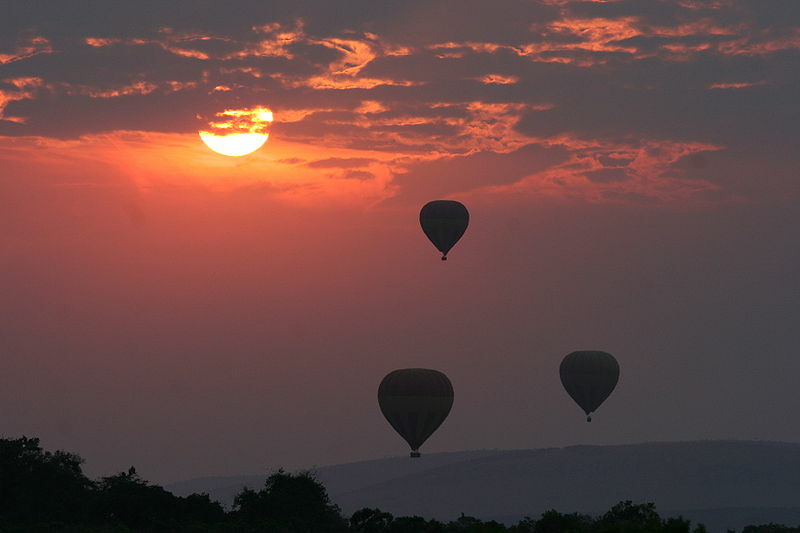 Hot air balloons over the Masai Mara, Kenya. 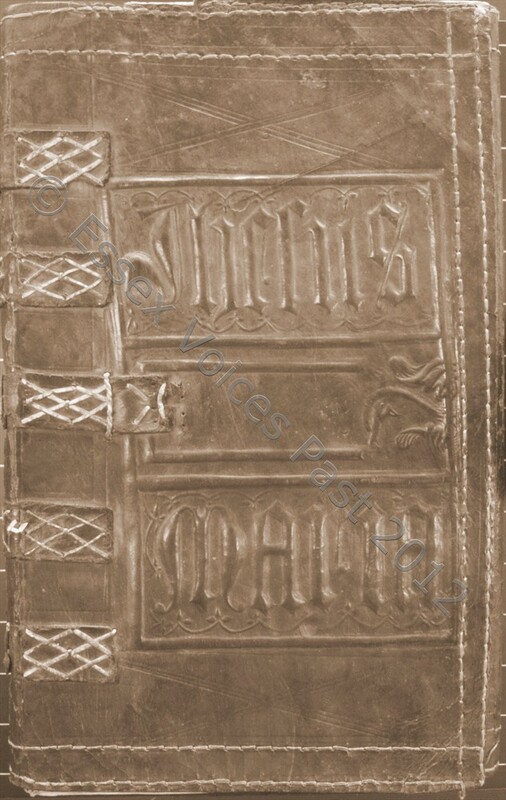 Image Wikipedia commons. For me it’s not the love interest that is the tear-jerker element in Out of Africa. In the Ladies’ Room afterwards, all the women were crying over Robert Redford’s death and talking about it. I was crying for the servant, who loyally and futilely waited for her to send for him. It’s always seemed to me like a betrayal of sorts. My guilty pleasure is rom-coms among which You’ve Got Mail stands out. At the time I harboured a secret ambition to own a bookstore: the movie convinced me that wasn’t such a great idea, and given the virtual world of bookshops these days that was probably no bad thing. Dream bombed! Setting aside my devotion to historical books (not fiction), I’m a big crime novel reader, a habit that goes way back into childhood with the Trixie Belden books. I suffer from author-addiction: devouring each book my favourite authors publish and waiting anxiously for their next story. Don’t you hate it when a favourite author is inconsiderate enough to die on you leaving you with no hope of further entertainment….inconvenient for them too of course! Perhaps my favourite crime author is Michael Connelly and his Hieronymus (Harry) Bosch character. Bosch, the LA homicide detective, has such commitment and grittiness which make the stories realistic as do his human weaknesses. My weakness for crime pours over into TV as well where there’s nothing better than a good crime series on a Friday night, especially in those weeks when work’s been a bit of a pain. Again the grittier the better and so Taggart has to be a favourite with its Glaswegian accents and attitudes. Bagpipes in my blood. 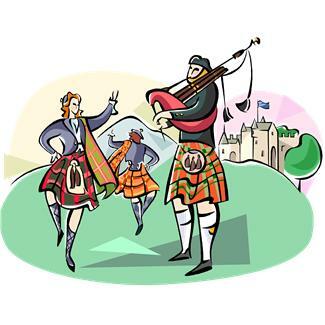 Celtic music (Scottish or Irish) is my fave. It’s a toss up this one but since I have to choose I’ll go with Celtic music, and I’m a big fan of Mary Black. If you’re interested in more of my music habits you can check out the Merry Month of May Music Meme we had earlier this year. Guilty pleasure in music is probably country music which we mostly listen to while driving long distances –it seems to fit with the locale. Thanks to Ninja Captain Alex for inventing this blogfest. 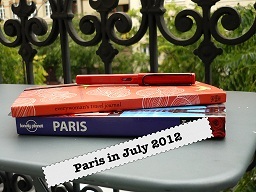 It’s ironic that July is a Francophile’s delight with the Paris in July 2012 series hosted by Karen from BookBath and Tamara from Thyme for Tea. Entirely coincidentally I’ve been reading books with French themes this month. It all started with in-flight reading on the 3 ½ hour flight from Brisbane to Darwin in early July. I’d downloaded the new book by Joanne Harris, Peaches for Monsieur Le Curé as it caught my eye in a bookshop. I hadn’t read Chocolat (or seen the movie) which perhaps would have added to the back story in some of the book but nonetheless I thoroughly enjoyed reading about the challenges of life as a small French village comes to term with its immigrant Muslim neighbours. Taken with the writing style I looked in the local library for Chocolat but it was already out on loan so I settled for two other Joanne Harris books: Five Quarters of the Orange and Coastliners. After devouring these I borrowed Holy Fools which hasn’t engaged me as yet. 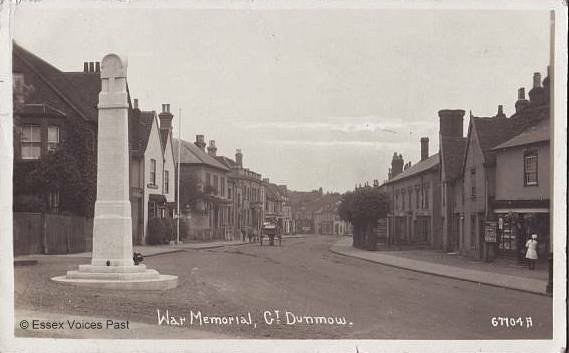 Life in small communities and the tensions and long-standing personal histories and feuds (intriguing but it did make me glad I hadn’t lived in a small community). A central heroine whose central role has a significant impact on the community. Hidden stories and inter-linkages that became clearer throughout the books or in the dénouement. The impact of parenting, good or poor. While some of the story lines might stretch credibility the books were very readable and I enjoyed them a lot, though I was aghast at how Framboise, an elderly widow when we first meet her in Five Quarters, determinedly abused her mother’s illness and headaches for her own interests as a young girl in the same village. Perhaps not the most profound books I’ve read, but enjoyable reading just the same, and nicely fitting this month’s emphasis on any/all things French. 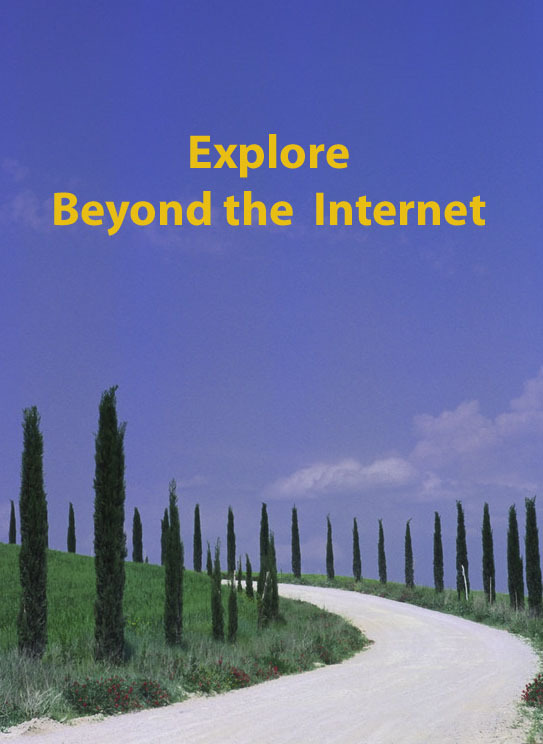 This is Week 30 in my Beyond the Internet series in which I explore the sources of information beyond our computer screens and the topic is BOOKS. 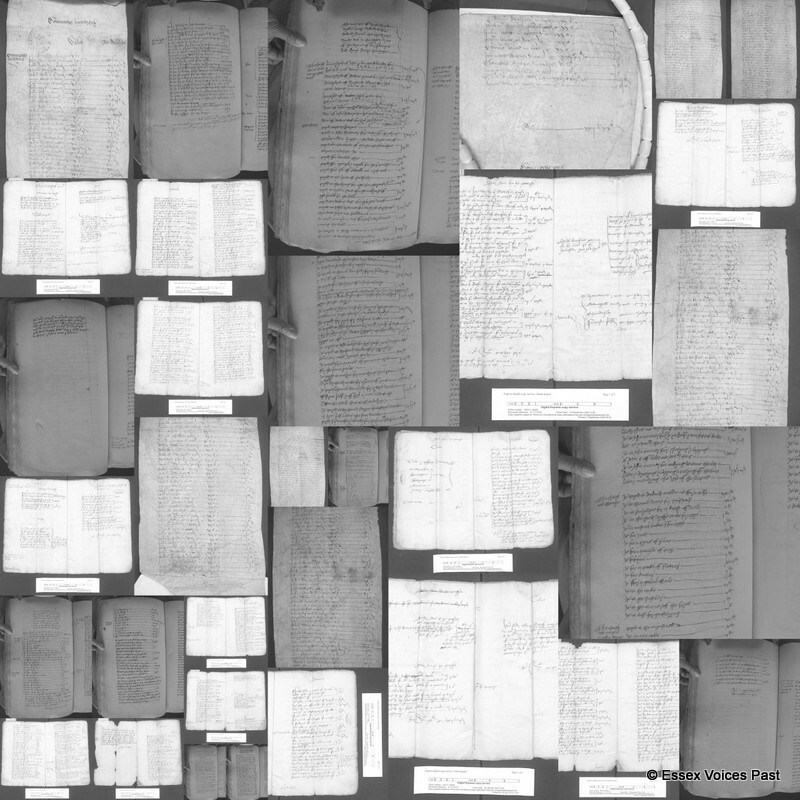 Please do join in and write comments or posts on special discoveries you’ve made with books. After talking about specialised libraries like the government or university special collections, perhaps it seems self-evident to talk about books. Books are not only an absolute joy to me, but a total necessity to my family history. Like most of us I started out with the “How to” books about family history. 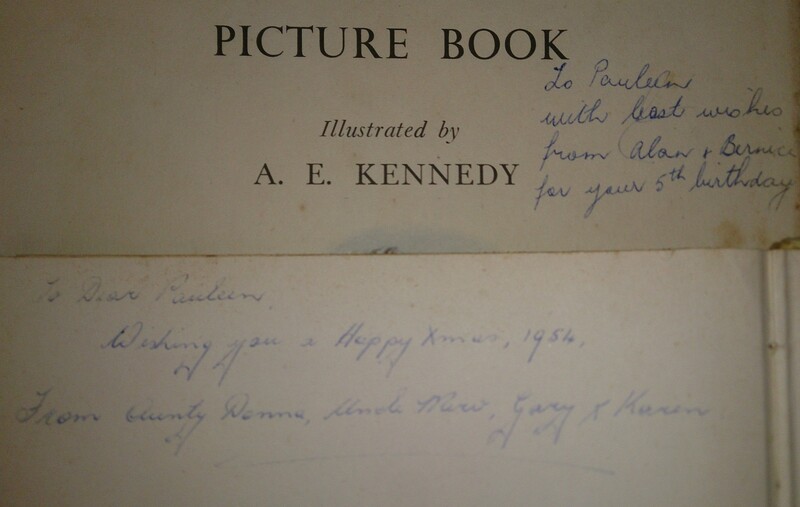 The first Xmas after I started my research my gifts included Nick Vine Hall’s then-benchmark book Tracing your family history in Australia and Australian Pioneer Women by Eve Pownall. 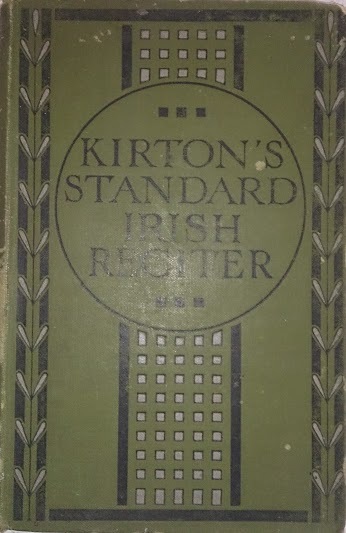 Perhaps the most crucial how-to book I acquired, in 1992, was a little volume entitled the Irish Roots Guideby Tony McCarthy, with its tip-off regarding Griffith Valuation revisions/cancellations. 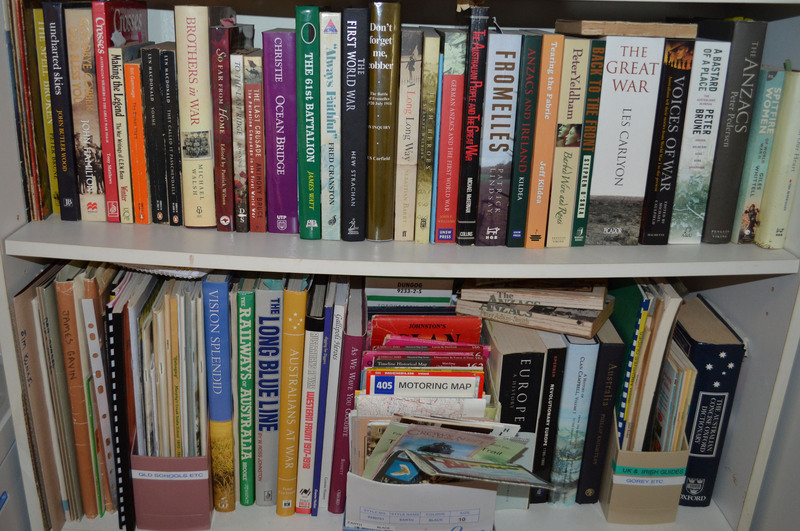 The (mostly) Irish migration corner of my library. As our research progresses though, we need to learn more about the community, national or international contexts within which our ancestors lived. 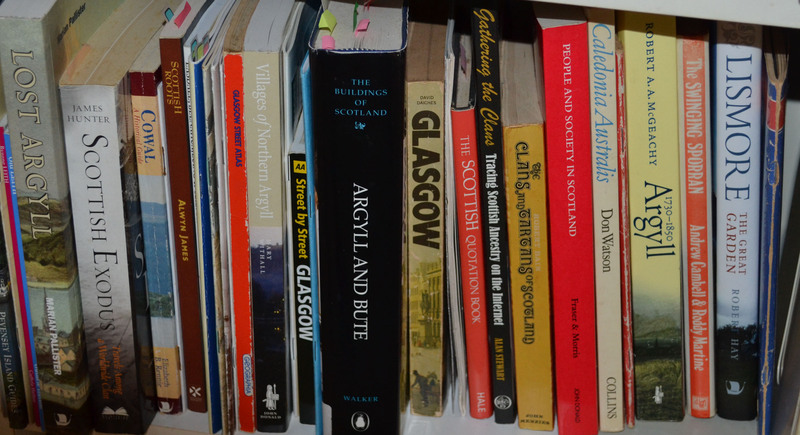 Where better to turn than the diverse collections in libraries? The rarer books may be tucked away in the special collections and increasingly the older books may be available online through Google Booksbut there’s a wealth of resources on the shelves as well, though you may need to read them in the library rather than borrow them. If you’re as addicted as I am, your own collection may keep growing invasively until your normal reading books have to give way to provide space. Not to forget the Scots! 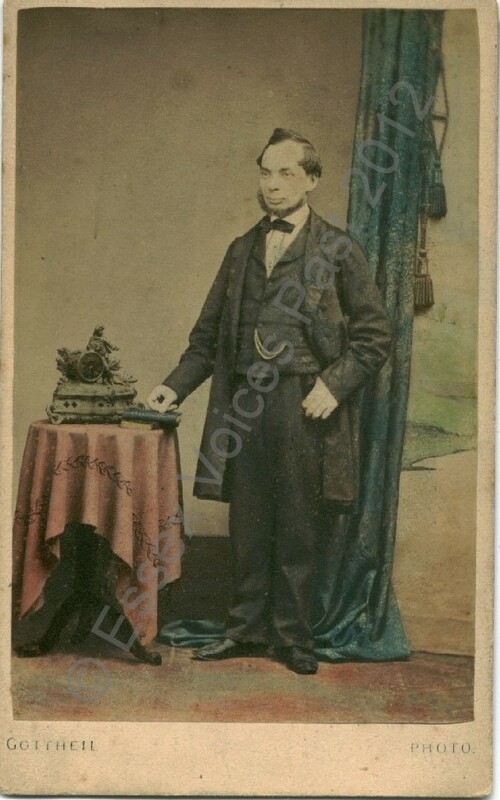 At this point of your learning you’re not really looking for your family names (though finding them is always fun!). What you’re doing is building up your understanding of what was happening when and where they lived. Your local reference library (or even just your local borrowing library) may have some great resources for this but don’t forget that within Australia you can order a book (or indeed a microfilm) into your local library on an inter-library loan from another library or the National Library of Australia. This really is a great opportunity and well worth taking advantage of …if only we could have a coffee while we read J You can also sign up for a library card with the National Library of Australia and gain access to the electronic collections –but more on that next week. 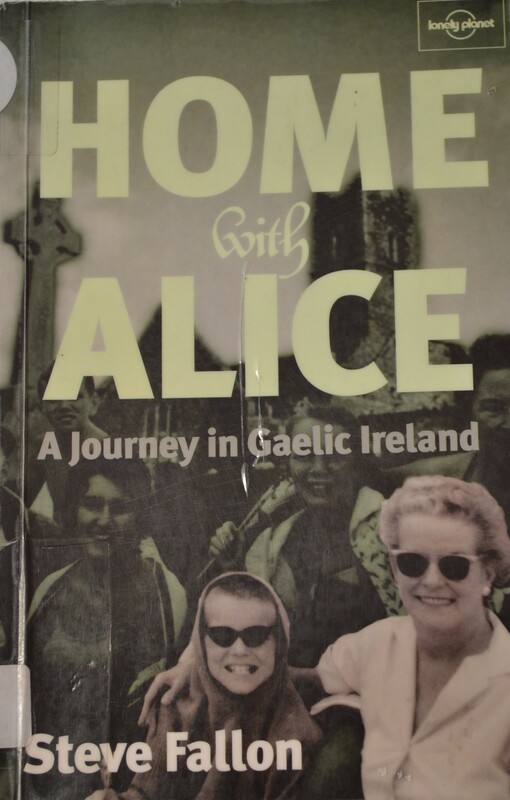 Search the online catalogue by keyword (pubs, mariners, Germans, Irish migration, emigration, specific places) to see what comes up. 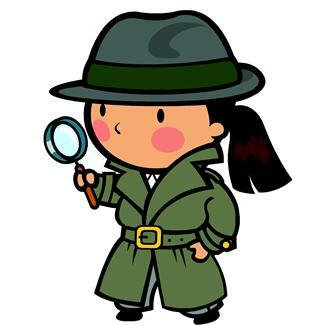 As you read, keep an eye out for the references other researchers use: these will give you further clues to follow up. Check out the bibliographies in relevant books for new reading material or even reference to primary records previously unknown to you. Buddy up with other geneamates via LibraryThing and see what their reading lists include. Have a look at their blogs to see if they have a books reference tab (mine’s there but the list is the tip of the iceberg. Keep an eye out on blogs for genealogy book reviews. Don’t forget that historical fiction might also give you a feel for the life and times of your ancestors. 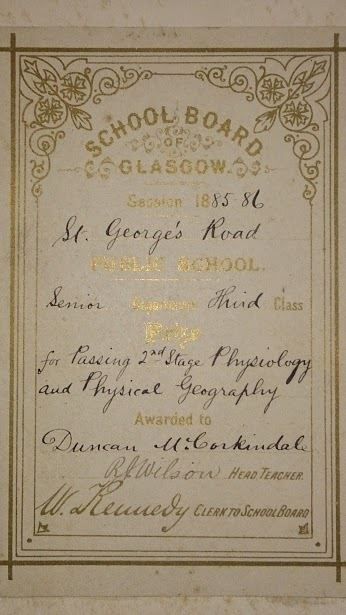 Books really are golden treasure for our research and family stories. Have you struck gold in your reading?